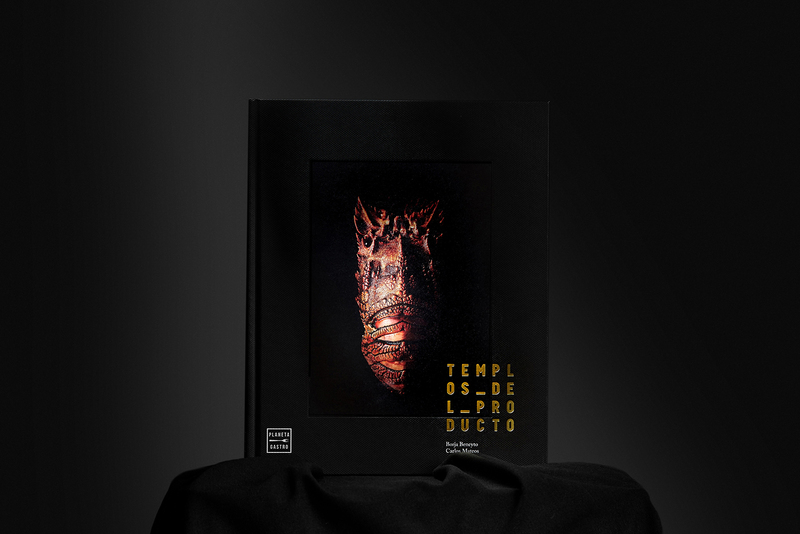 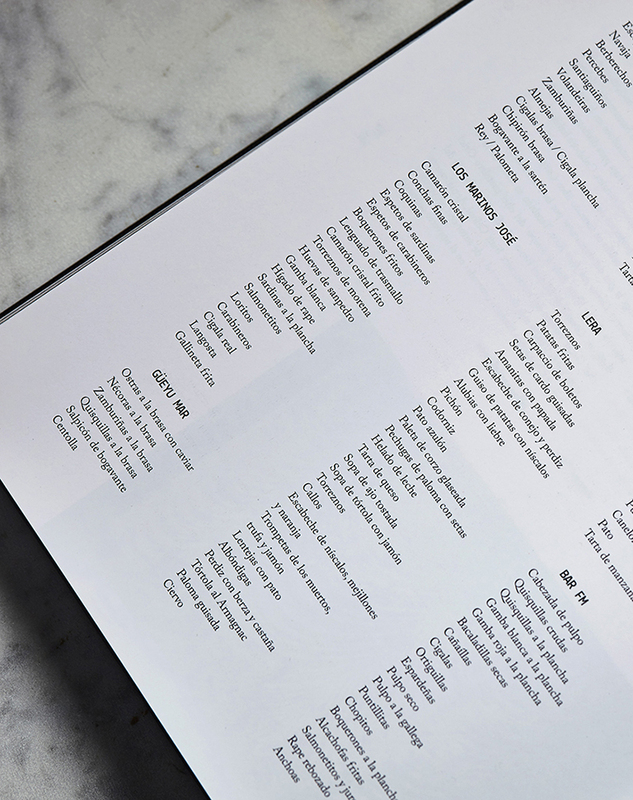 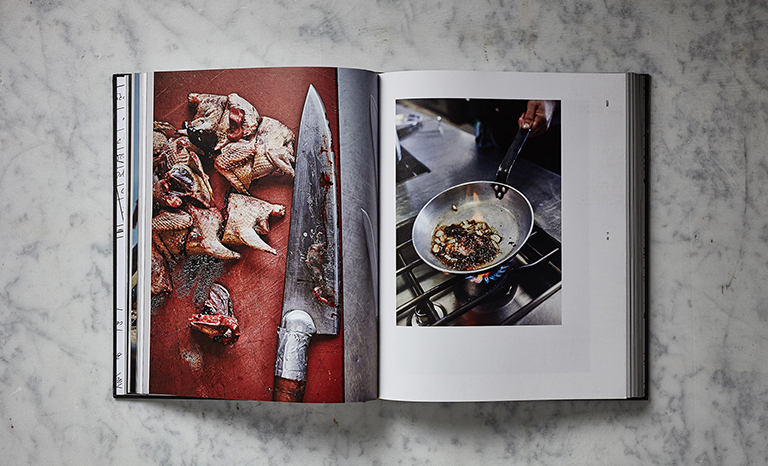 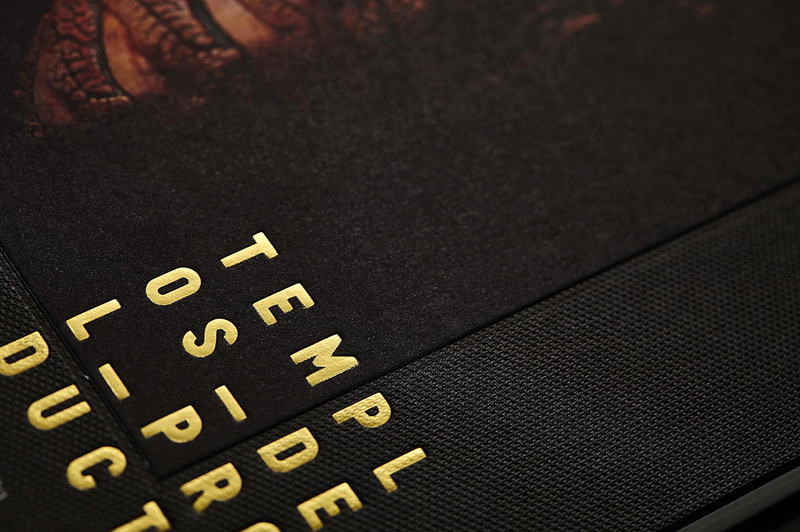 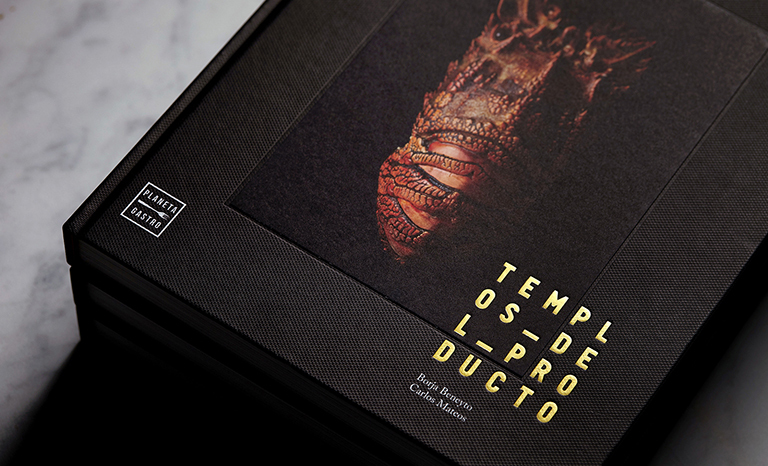 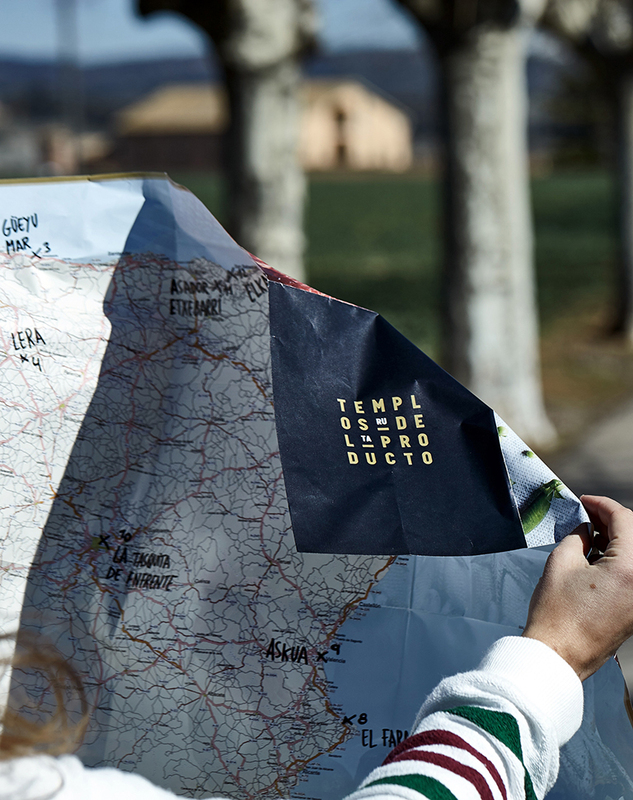 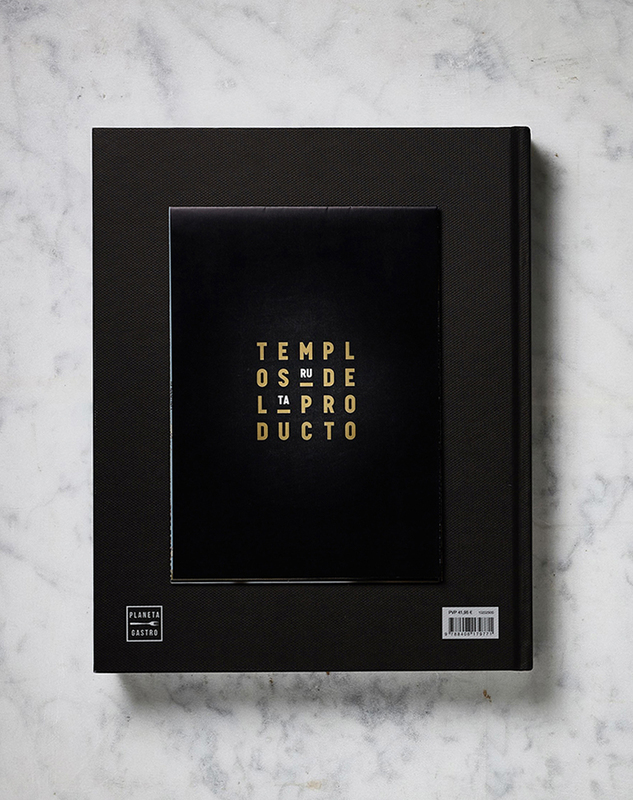 Templos del producto is an object book that contains a selection of 14 restaurants, all of them offering a traditional cuisine based in the quality and the origin of the product. 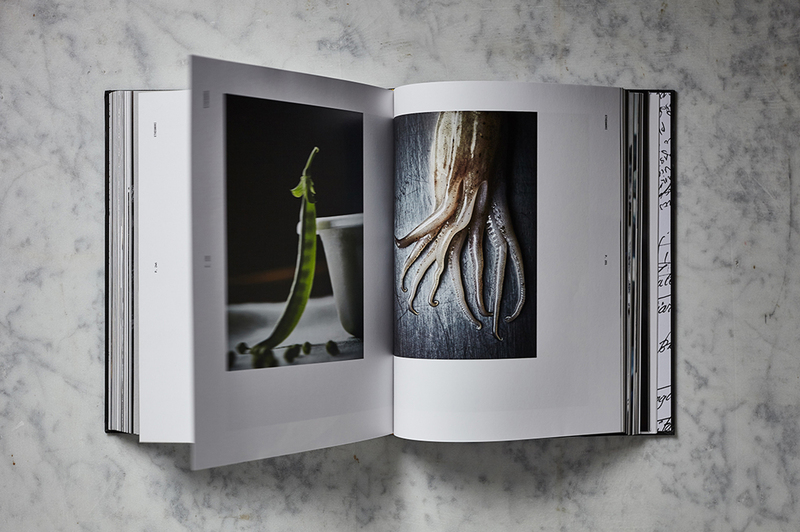 The book describes the experience of the editor and the authors of the book during a gastronomic trip of more than 20000km and 18 months. 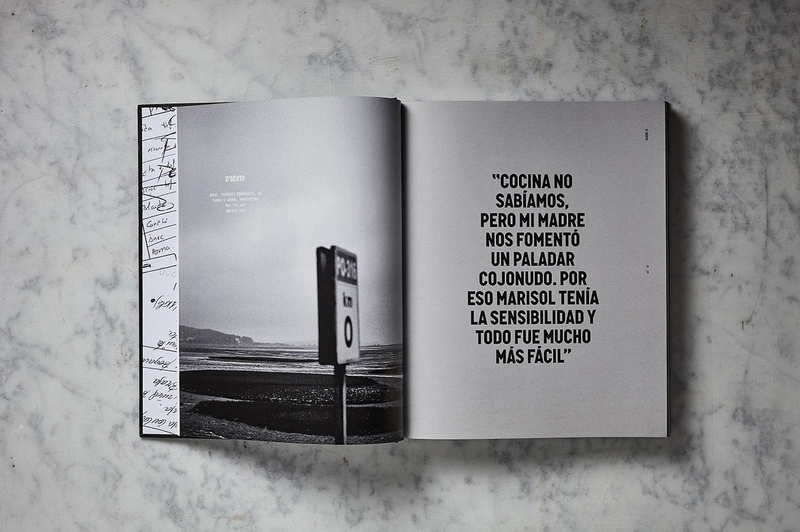 Elkano, El Faralló, El Campero, Ca l'Enric o Etxebarri are some of the cult restaurants that appear on the book. 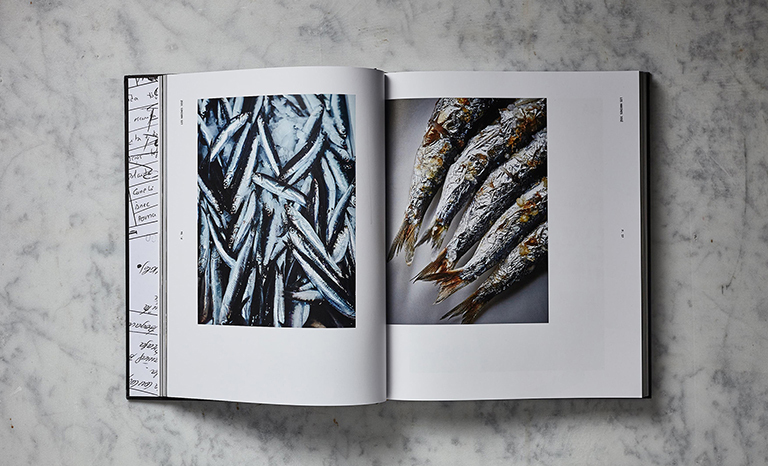 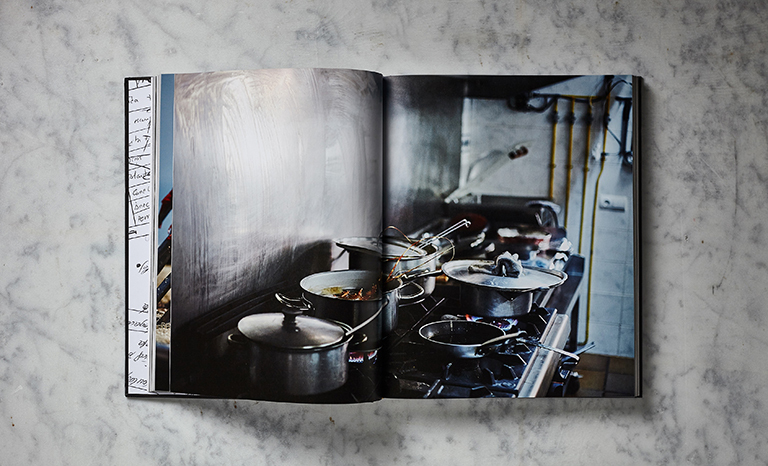 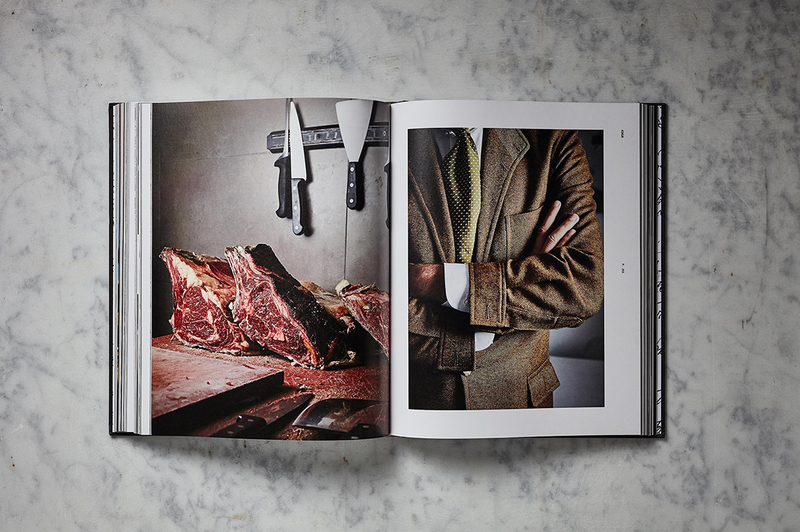 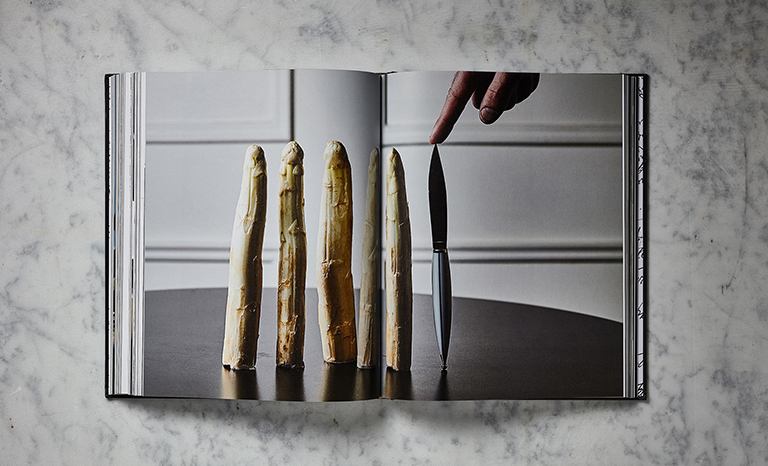 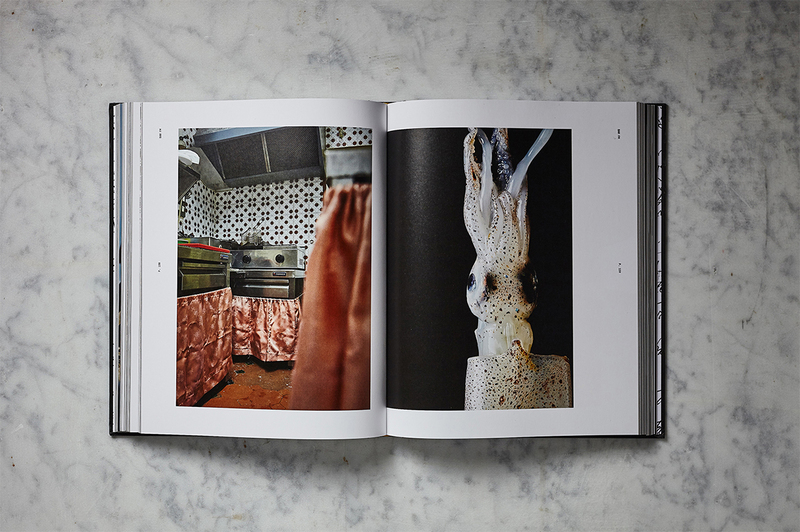 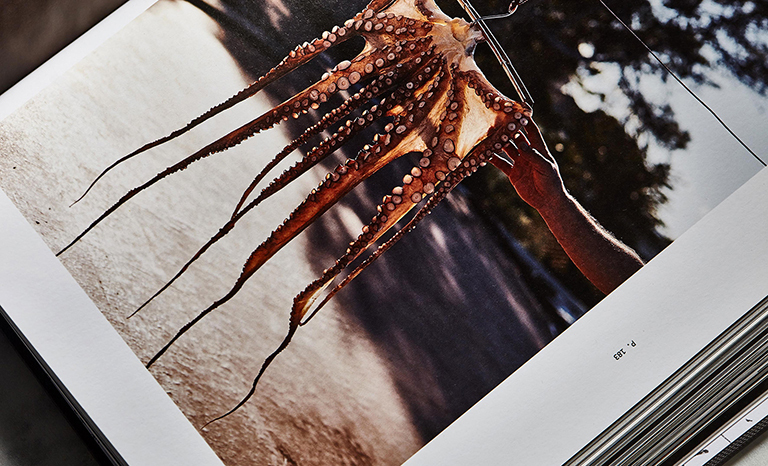 The extreme product and the non-interventionist cuisine are the main feature of these restaurants, and for this reason, we designed a book with austere forms, without excessive decorations, convincing on contrasts, and with sincere images. 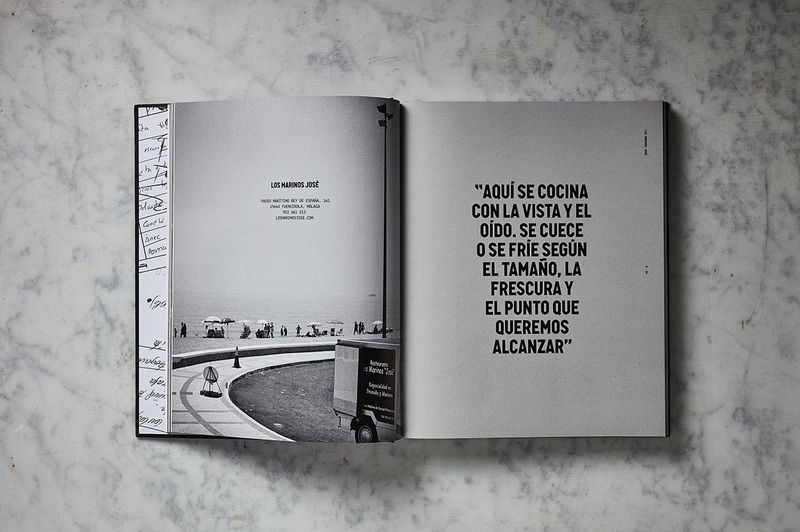 The use of materials and the contrast between them answers to the duality between the spontaneity of some of these restaurants, and, at the same time, the high quality of the product that they offer. 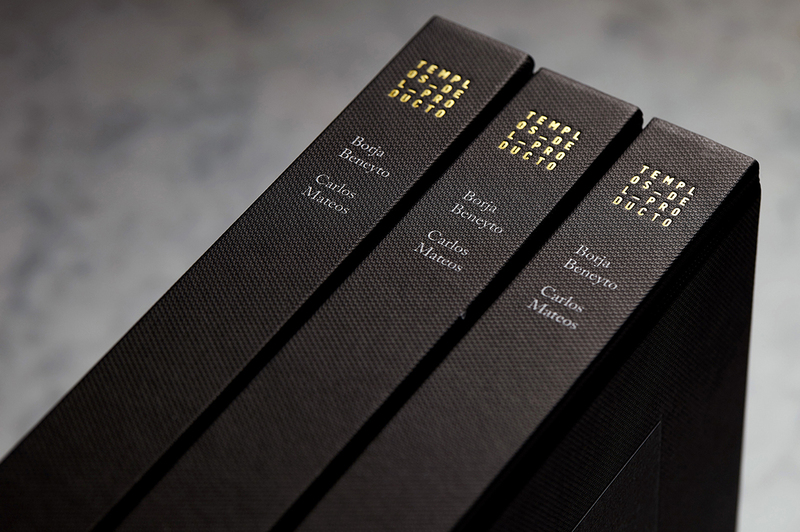 In the book, it has been transmitted by, for example, the combination between embossed paper, simulating the place mats used in some of these establishments, together with the gold stamping. 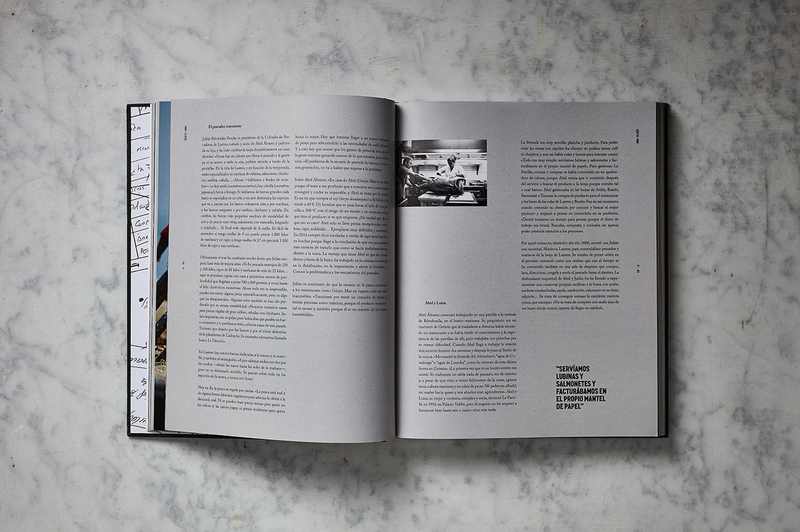 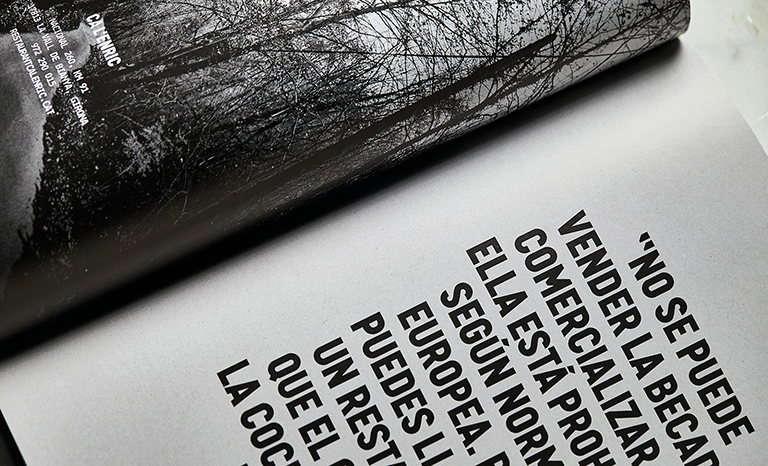 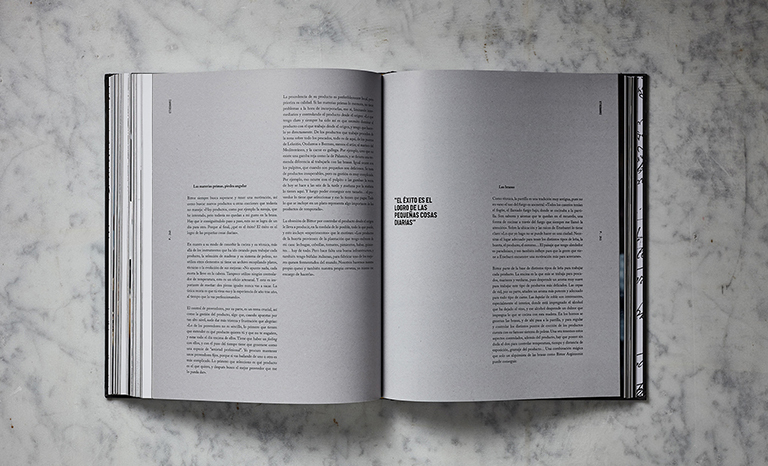 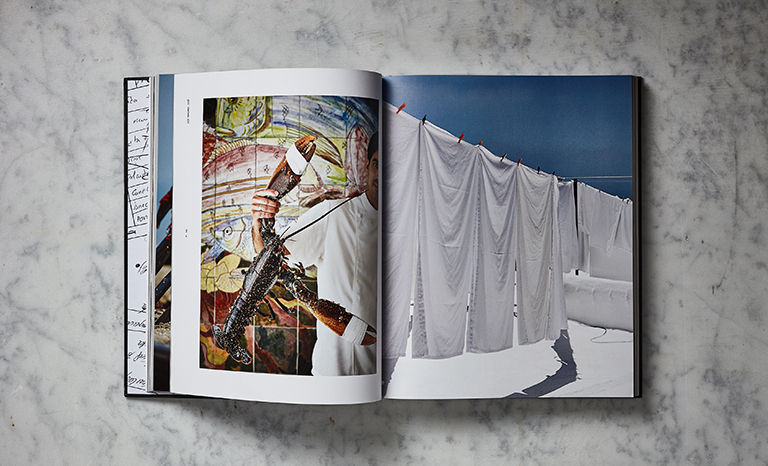 Inside the book, the contrast can be found in elements such as the combination of different kinds of paper, or the duality between color and black and white. 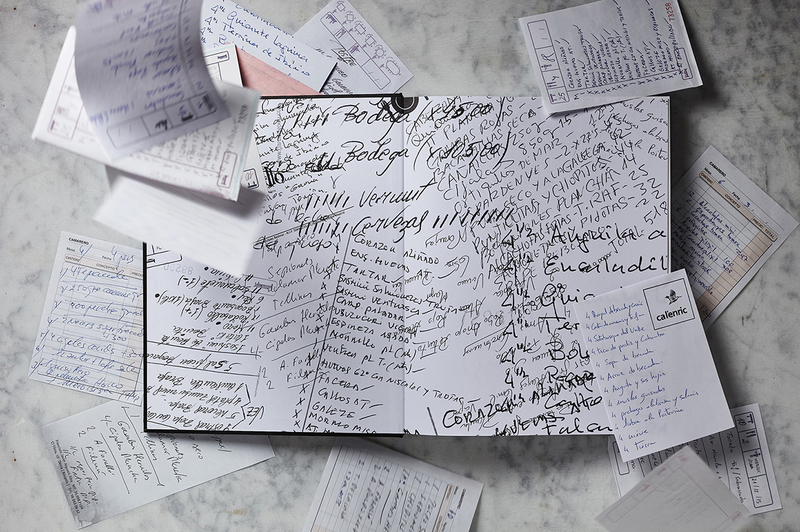 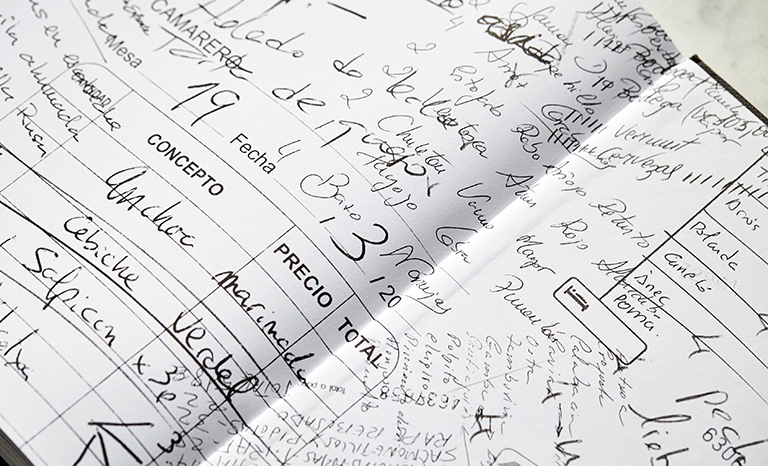 The personality of the book is also defined by the road map of the back cover and the pictures of original order notes from the waiters.